So you’re at the airport waiting for an international flight. You arrived early, giving yourself plenty of time to check in and get through airport security. Once done, you confirm your departure time and gate, except that you’re so early the gate’s not on the board yet. So you explore the shops, try some free samples, play about with some gadgets in the electronics store, read some magazines, buy a book…..with a fair chunk of time still left to kill, you look around wondering what to do next. 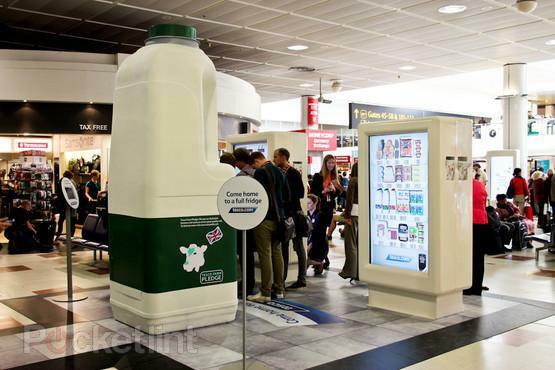 If you happen to be at Gatwick airport – one of the UK’s busiest airports – Brit supermarket giant Tesco is hoping you’ll be interested in dropping by one of its virtual grocery stores where you can purchase a bunch of items before you fly, arranging to have them delivered to your home upon your return. 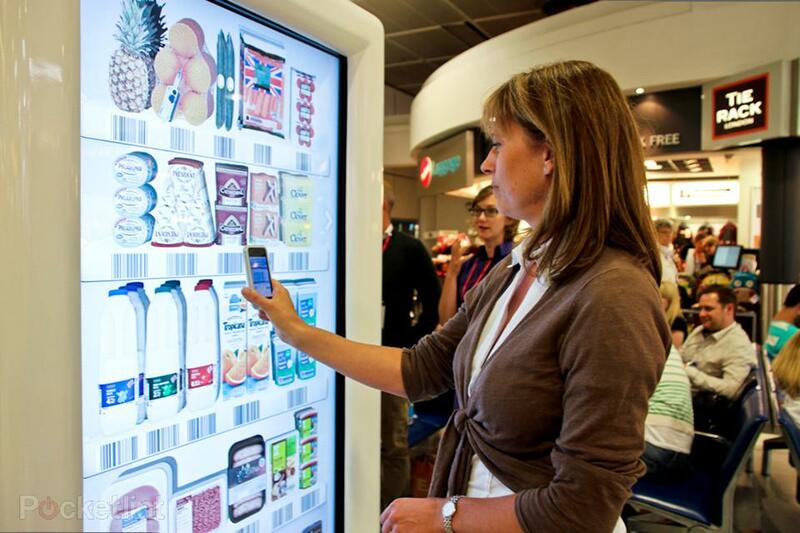 The virtual grocery store takes the form of a giant video screen, of which 10 can be found throughout Gatwick’s departure lounge. To place an order, you first need to first load the Tesco app onto your smartphone. You can then choose from around 80 items by scanning the appropriate bar codes with your handset. A delivery date of up to three weeks after departure can be arranged. Although Tesco’s Gatwick initiative is a two-week experiment, it’s not the first time the company has tried out something like this. The global supermarket chain operates a similar service in South Korea, where commuters have taken to ordering food items from screens located at trains and bus stations. But are travelers who are about to embark on an overseas vacation really thinking about what groceries they’ll be needing upon their return? As one passenger at Gatwick told the Guardian: “I do a lot of online shopping but wouldn’t do it at the airport. I couldn’t see myself doing the shopping when I’m in holiday mode.” Another said the last thing he wanted to think about when going off on vacation was coming back. How about you – could you see yourself placing a food order at an airport just prior to jetting off somewhere?